K35 - 6.2 metre reach The K35 is the crane for those who need extra long reach. Equipped with telescopic boom with a full reach of 6.2 m. Linksystem and overhead boom cylinder like the K30. Designed for the M91 and M101 trailers. Lift torque 25 kNm. Equipped as standard with 2 x mechanical joystick valve, G160L grapple and GR30 rotator. 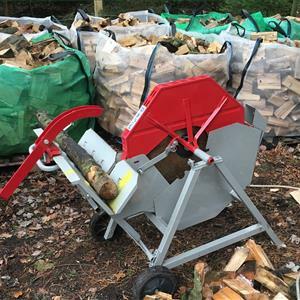 Cranes can be supplied with 3-point linkage which includes strong telescopic stabiliser legs, or mounting plates so the cranes can be mounted on to other equipment like Wood Chippers, Shredders or replacements for other Cranes. The Moheda 3-point Linkage frame is makes a very practical solution, with the crane mounted on the 3-point linkage of the tractor the draw bar and PTO shaft are still accesible and most trailer drawbars will be lower than the stabiliser legs meaning turning circle is not hugely reduced. The K35 is the crane for those who need extra long reach. Equipped with telescopic boom with a full reach of 6.2 m. Linksystem and overhead boom cylinder like the K30. Designed for the M91 and M101 trailers. Lift torque 25 kNm. Equipped as standard with 2 x mechanical joystick valve, G160L grapple and GR30 rotator.